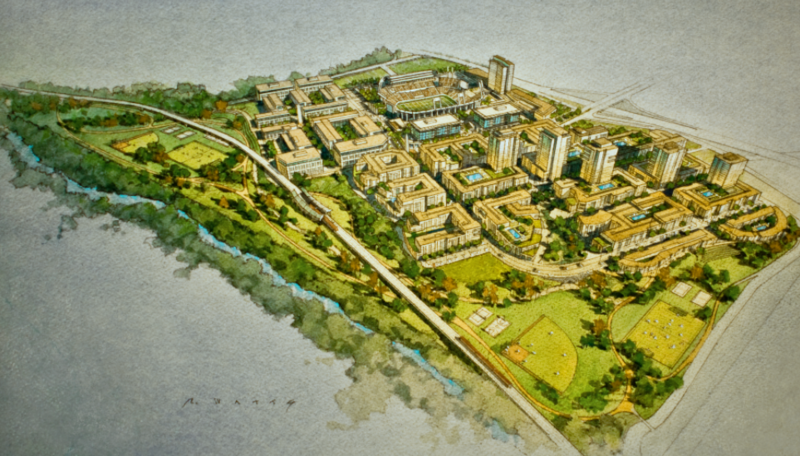 The SDSU West Initiative requires the stadium site to be comprehensively planned through a public planning process with maximum opportunities for public participation . The Soccer City Initiative was drafted in secret by private developers with no public input . Soccer City also expressly prohibits public participation in the implementation of Soccer City’s development plans . The SDSU West Initiative and the Soccer City Initiative both set aside 10 percent of the new homes for low-income households, but the Soccer City Initiative’s affordable housing requirement does not start until ten after the execution of its lease . SDSU West Initiative does not have any delay. The Soccer City Initiative converts the 20-acre Murphy Canyon Charger Training Center site from Industrial to Commercial, permits development of hotels on the site “by right”, and exempts such hotels from the airport land use compatibility regulations for Montgomery Field and MCAS Miramar . The SDSU West Initiative does not cover the Charger Training Center enabling the City to sell site for an estimated $29 million, which the City can use to improve public services and retire City debt.